This item is not in stock. You can add to cart & checkout - we will notify you once it is back in stock. 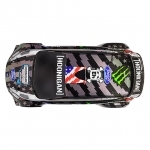 You've seen it in Gymkhana 8, you've seen it in Terrakhana, and you've seen it racing in Gymkhana GRiD - Ken Block's jaw-droppingly cool colour-shift Ford Fiesta ST RX43 racer is now available for you to drive away in a sweet 1/8th scale WR8 FLUX version! HPI FLUX power is able to propel this 485mm (19") long replica car from a standing start into wild racing action and 60+ mph (100+km/h) with just a single pull of the trigger, so it's the perfect way to copy Ken's epic performances with your friends! 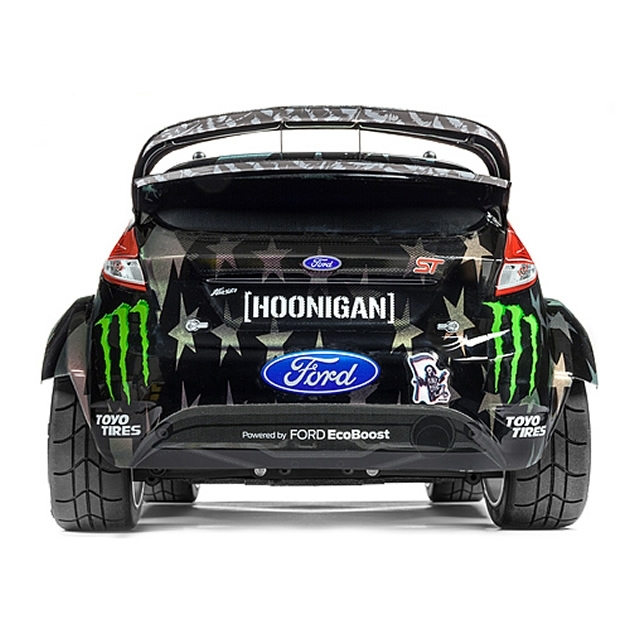 Underneath the replica Ken Block Ford Fiesta ST RX43 body, the WR8 FLUX chassis is based on the HPI Bullet RC monster truck, which means it's massively tough and can take a real beating on- or off-road! 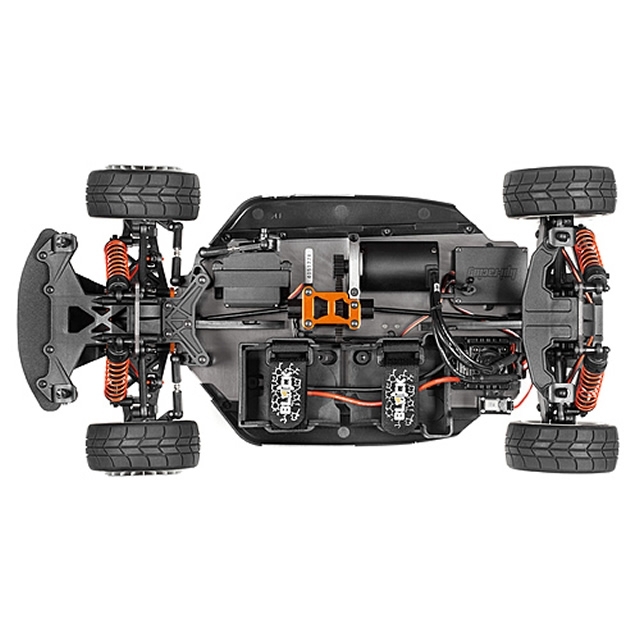 The WR8 FLUX is powered by a massive 4000KV brushless motor and waterproof 3S-capable speed controller, delivering power through tough metal gear differentials and the fully ball bearing-supported 4WD shaft drivetrain of the Bullet monster truck. 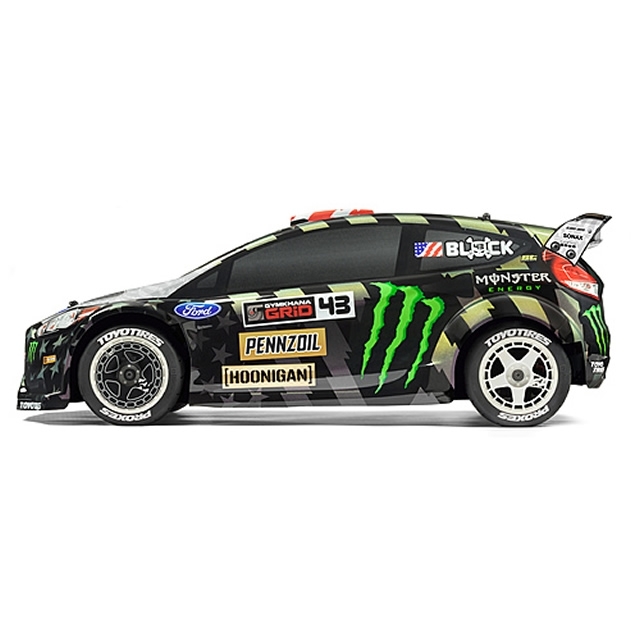 Combine this with WR8 rally-style suspension geometry, custom-designed shock towers and dampers, plus extra-thick sway bars for extra control! Top it off with semi-slick tarmac tyres and replica fifteen52 TurboMac wheels and you have an instant head-turner in your hands! 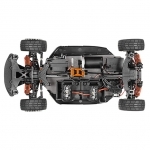 The HPI Racing WR8 is crammed with awesome features that enhance its durability anywhere you want to take it, including a high ground clearance, skidplate, foam front bumper, optimised rally-style suspension geometry, shock debris guards, mud deflectors on the chassis and much more. It's the ideal machine to race your friends on Gymkhana-style courses and multi-surface tracks, or anywhere you like! 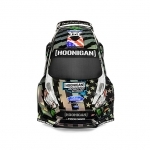 Custom Colour-Shift Stars and Stripes Livery! Sure to turn heads, the stunning stars and stripes on Ken's replica Ford Fiesta ST RX43 are achieved with actual custom paint! The paint is protected from scratches because it's applied at the factory on the inside of the body, allowing the amazing iridescent colour-changing effect to shine through! For the ultimate in replica looks and fantastic performance, every HPI WR8 with Ken Block's Ford Fiesta ST RX43 is fitted with replica fifteen52 Turbomac wheels in a matching colour scheme. 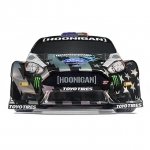 The wheels really help the car stand out as a scale replica, and for extreme performance, the wheels are wrapped with semi-slick HPI tyres moulded in real rubber. 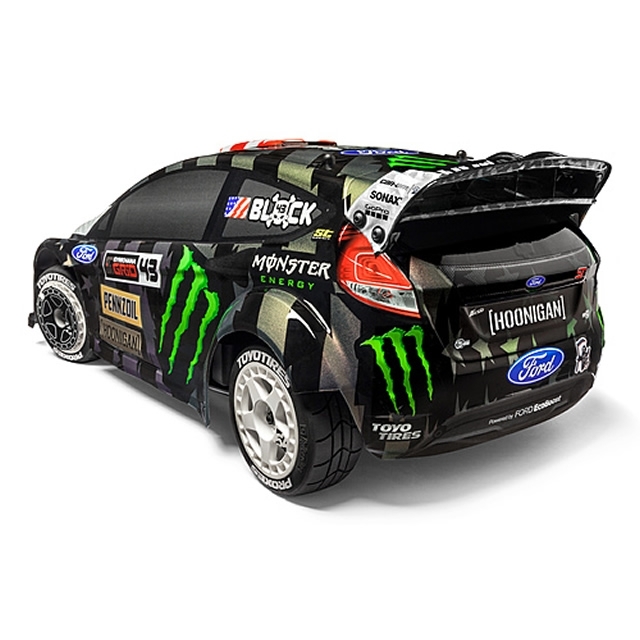 The grippy rubber compound helps the car stick to asphalt or tarmac for real racing action, and the treaded design gives you plenty of grip even on dusty paved surfaces! All this function is nothing if you can't customise the car to your liking. 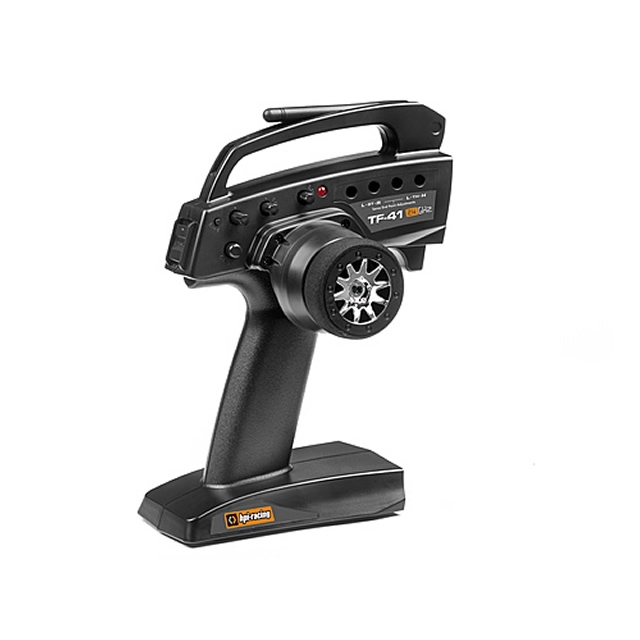 Although we've set the car to be just about perfect right out of the box, you can easily adjust loads of settings, exactly like a real racing car! Ride height, shock angle and more are simple to adjust if you want to dive under the hood - HPI make it easy to be your own racecar mechanic AND driver! 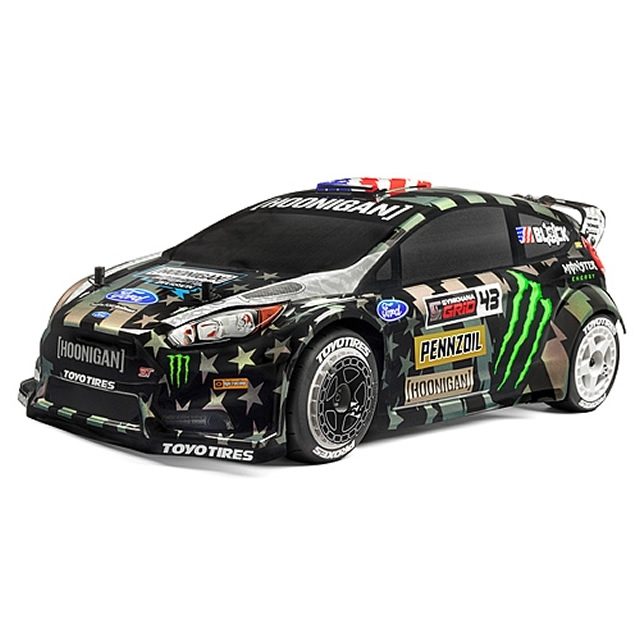 Drive like Ken, or work on his car: it's easy to do both with the Ken Block WR8 FLUX! 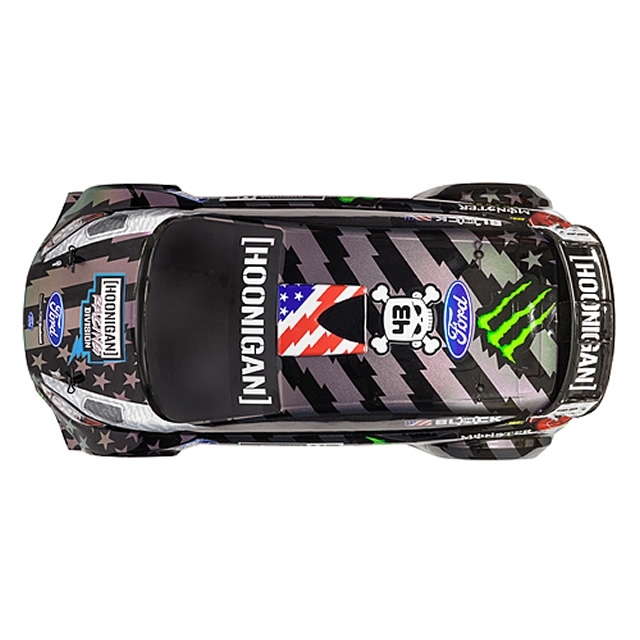 Officially authorised replica of Ken Block's "Colour-Shift"